Some people believe that gardening stops in the fall, but that’s a myth! Let’s dispel the myth with the top 5 fall gardening tips to help you get the most from your fall garden. Not only will you learn how you can maximize your gardening pleasure by gardening in the fall, but you’ll also see how fall gardening turns next year’s garden into a bigger success. 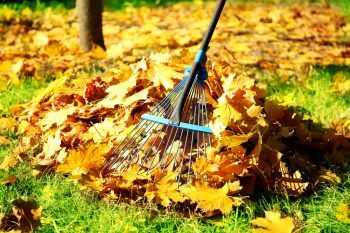 So take the opportunity to spend a few cool, sunny days in your fall garden by learning these fall gardening tips. It’s the best time of the year! If you’ve fallen for the idea that allowing this year’s garden to rot over the winter will somehow nourish the soil for next year, you’re setting up next year’s garden for disease. 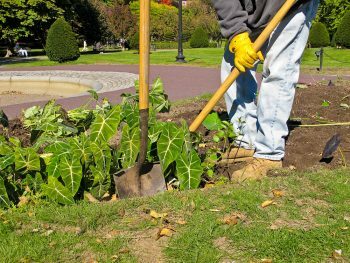 The best thing you can do for next year’s garden is to clean up your garden beds every fall! Much as it might feel like killing off a still-green and thriving friend, it’s only a matter of time before frost kills everything off. Rotting tomato plants in particular really invite bacteria and disease into the soil that will negatively impact next year’s plants. So don’t leave it. Clean everything up in the fall. Look at it as one less thing you’ll have to do next spring! If you’ve got heirloom vegetables still growing, don’t neglect the chance to save some of the seeds for next year’s planting, if you haven’t already. Thoroughly rinse and clean all your seeds you intend to save. This is easiest if you use a mesh strainer. Once the seeds are clean and rinsed, leave them on a sheet of mesh to dry. Once they are dried completely you can save them in a sealed glass jar until spring. 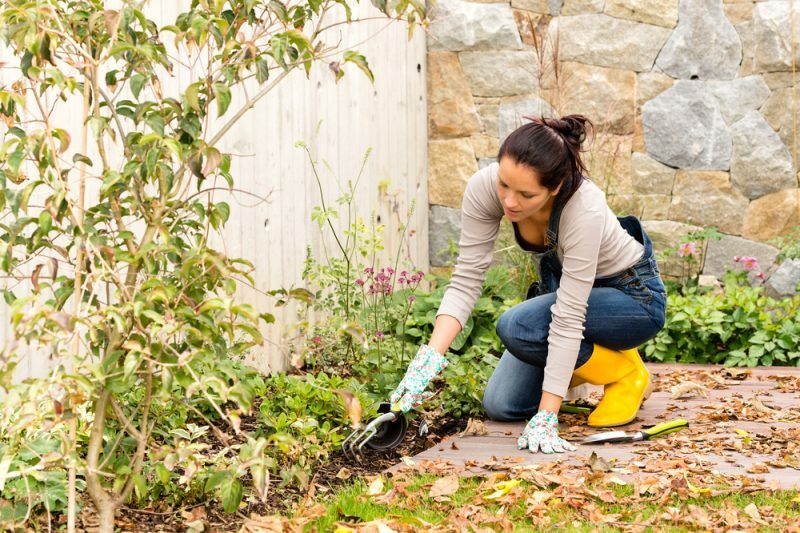 After cleaning up your fall garden beds, you can prepare them for spring now. 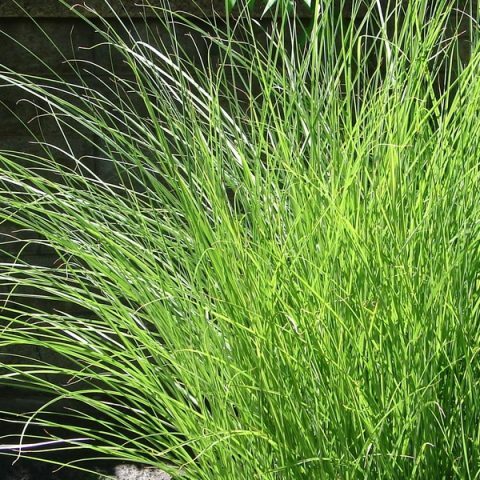 Remove or divide any plants that are spreading out of their assigned spots. 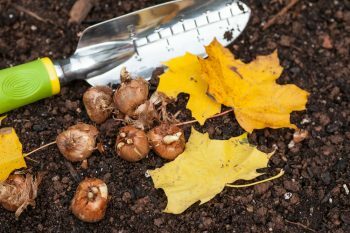 With the space you create, you might want to plant some spring bulbs that will give you an automatic color burst as soon as the weather starts warming up in the spring. Spread some compost around your garden beds and leave it to work a little magic over the winter. Don’t neglect the leaves that fall from your trees. Pick them up and either dispose of them, or use them in a fall composting bin. If you do that, be sure to shred them first. Leaves that are left on the ground just attract moisture from the snows and then rot right there on the ground. Once spring comes, you’ll just have a mucky mess to clean up. Take notes for next spring. Why? Because crop rotation is really a great thing. Before you forget where everything was planted in this year’s garden, draw up a plot and note where each type of plant was grown. Next spring that makes it easy to rotate your crops and let the soil rest where needed. Next year’s crops will thank you for it! 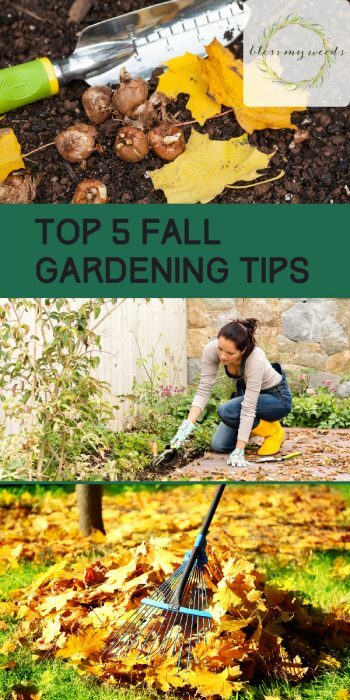 There are the top 5 fall gardening tips to put into action this fall. Most of all, don’t forget to enjoy the cool weather and beautiful colors while you work!